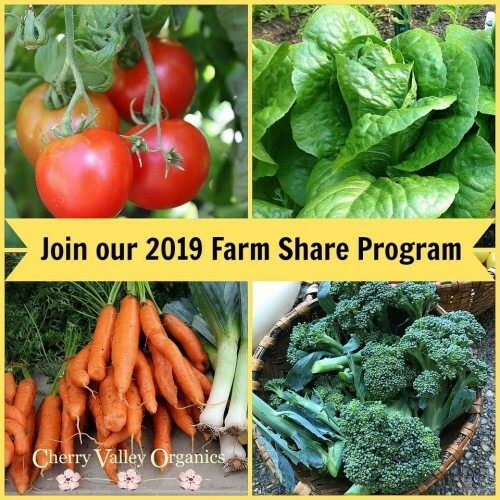 Click here for more details on our Farm Share Program. Cherry Valley Organics is located in Washington County just 20 miles from downtown Pittsburgh. We are a USDA certified organic farm, producing a high diversity of agricultural products, including vegetables, specialty greens, mushrooms, herbs, and cut flowers. In addition, we offer potted plants, herbal teas, and herbal bath & body products, all of which are grown or hand-made at the farm. You can also find our products at the St. James Farmer's Market in Sewickley (Saturdays April through November), as well as at local restaurants and specialty stores.